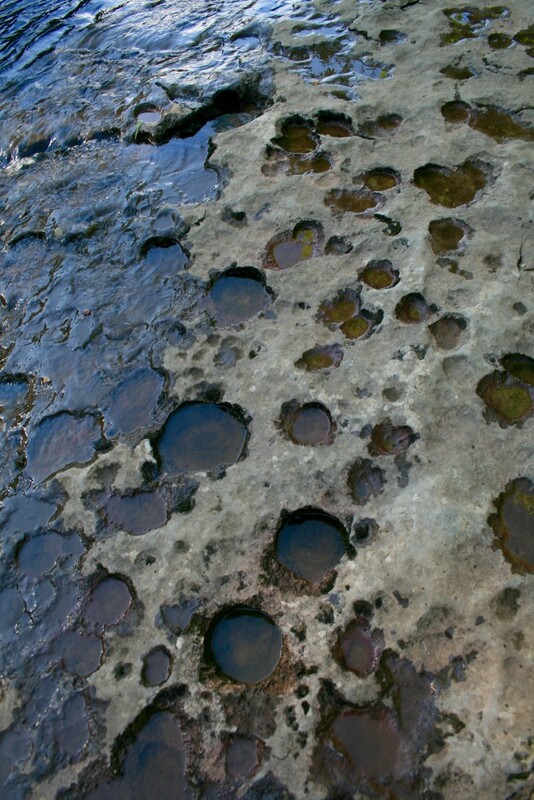 Potholes are round/oval shaped holes in the bedrock of a river bed. Potholes on the River Ure, close to Ayesgarth Falls. They are formed when sediment and other material carried by a river scour the bed. Where depressions exist in the channel floor turbulent flow can cause pebbles to spin around and erode hollows through abrasion/corraision. As the holes get bigger even bigger debris can become trapped in the pothole and this material further supports erosion. The video above shows potholes in the bed of the River Ure close to Aysgarth Falls.